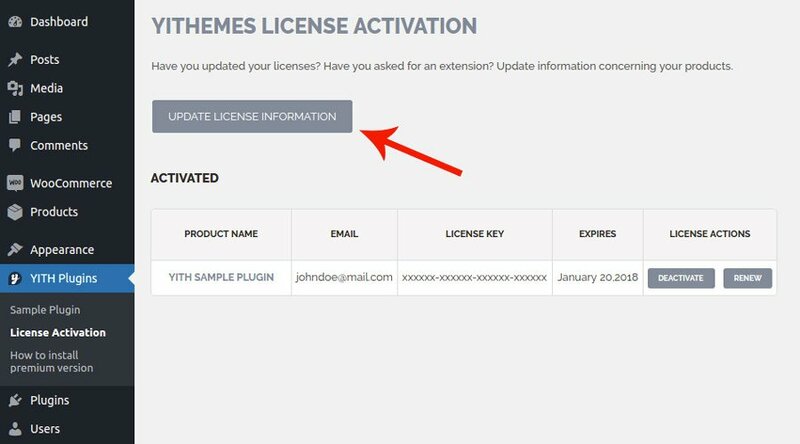 License can be updated in "License" section in your reserved area of YIThemes, or in YITH Plugins -> License Activation on your site. License updating occurs by the new purchase of the product related to the plugin. You only need to click "Renew" button: you will be redirected to yithemes.com and the product will be automatically added to cart. Once updated, new license expiration date will be set to the same day and month of the next year. The only exception concerns those updatings done before the expiration date: in this case validity will be extended to one year from expiration date. After purchasing, you don't have to do anything else. 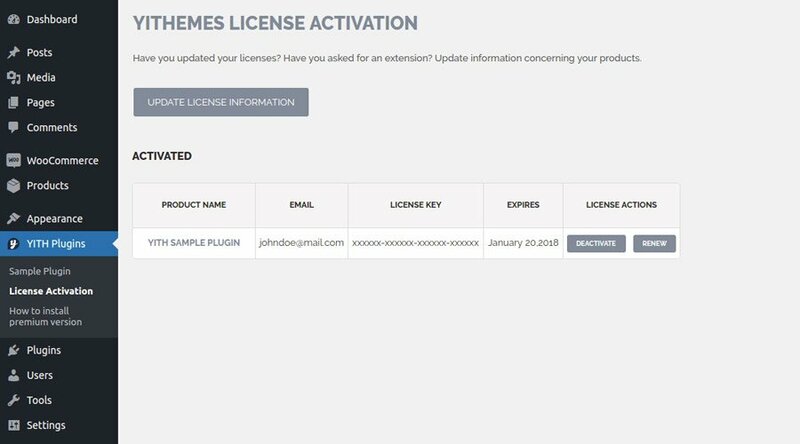 If in "YITH Plugins -> License Activation" expiration date isn't updated we suggest you to click "Update license information" button.